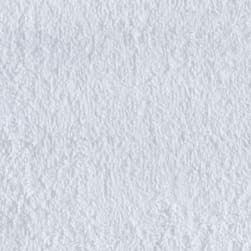 Shannon Lux Fur Curly Mongolian White Fabric is rated 3.7 out of 5 by 6. Description: Spoil yourself with this exquisite long hair faux fabric. 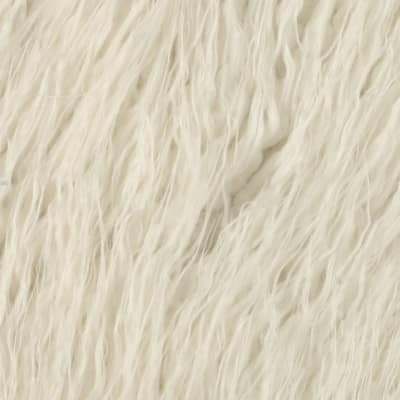 From Shannon Fabrics, this fur has a 2'' pile, a luxurious hand and a soft subtle sheen just like the real thing! Make gorgeous jackets, coats, wraps, fashion accessories, pillows, throws and more! Rated 1 out of 5 by Churryl from Seems great but give it time... I purchased this to cover a bench that my husband and I made (we are actually furniture designers and builders and this was for a prototype) and was initially very happy with the results. There was some scrap left over so that was put into storage with the other upholstery samples in our design studio, the prototype went into our living room. A few months later, the scrap is still white, the bench (after being exposed to sun through the windows) is rusty orange EVERYWHERE. It's dingy and looks terrible. Something in the synthetic must react poorly to sunlight because the whole thing has turned a gross yellow-orange color. So disappointed. Rated 3 out of 5 by Tired Mom from Good but not perfect I like the fur itself and I hope it will have the same look after I wash it. But it arrived completely filthy on the backside of the fabric. The listing says it is machine washable, but my fear is that it is going to shed terribly and possibly lose the slight curl of the fur. Also the listing says it is 58 inches wide but it is really only 55 inches on a good day. Rated 3 out of 5 by nickname1234 from Loved everything but the shedding I would recommend this to anyone looking for a high quality faux fabric, its texture is amazing! The only reason I gave this 3 stars is because of the shedding. I don't sew, so unless you know how to hem this is really annoying. Rated 5 out of 5 by Christy from Awesome Fur! I use this on almost every newborn photo shoot that I have. The texture and color are amazing! I cannot say enough good things about this fabric!! LOVE! Rated 5 out of 5 by CopperCity from Love this!! I made a floor reading pouf for my son out of this fabric and it turned out better than I could have expected! It is very forgiving and has such a luxe look to it. I found it surprisingly easy to work with. When sewing right sides together, make sure to tuck all the strays inside the seams, pin well, then sew - this will give you a great result and you won't be able to see the seam at all! Rated 5 out of 5 by jancola from Great quality fur I used this fur to trim a costume. I wanted something that looked more authentic than the cheesy fur you see at craft stores, and this fit the bill. Plus its washable! I plan on using it to make some pillows as soon as its back in stock, it's feels so deluxe and I love the slightly curly texture. The only downside is it is very messy to cut, but that is probably true of any long-pile fur. It does shed somewhat once sewn together, but not too bad. I think it is a little whiter than pictured on fabric.com, which I like. 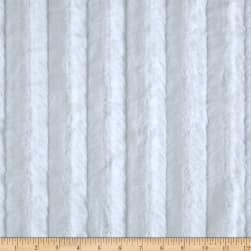 Description: This minky cuddle fabric is perfect for apparel, blankets, throws, pillows and stuffed animals. 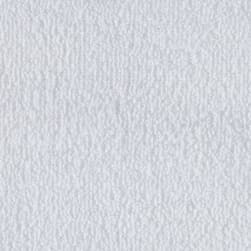 This ultra plush and cuddly fabric has a silky surface with a grooved mink like embossing. 12 mm pile, 600 grams. Colors include: white.